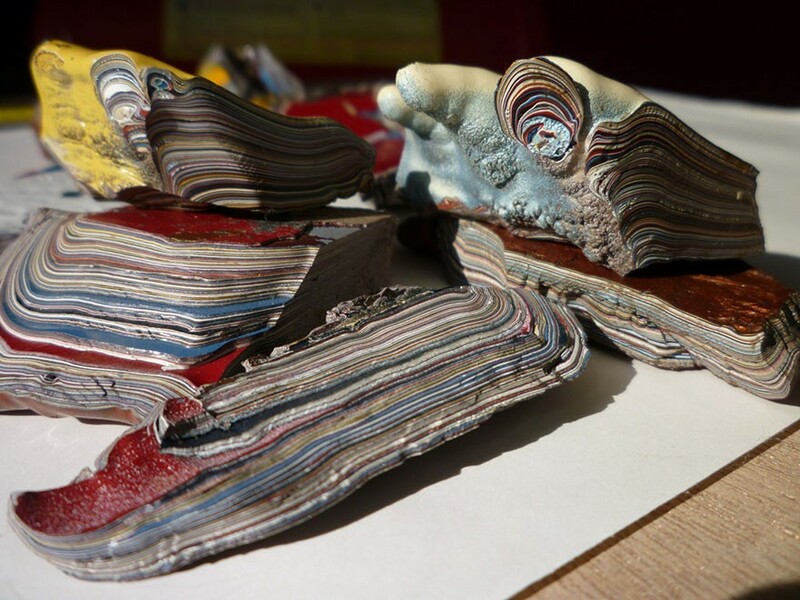 These beautiful stones might look like rare gems made by the Earth over millennia – but they are not a geological phenomenon – they are made from old car paint. 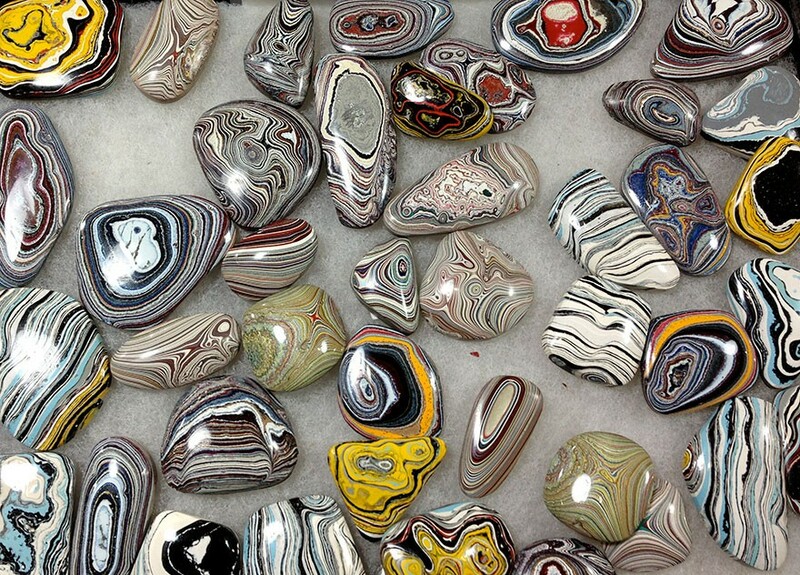 Dubbed Fordite, after the car manufacturer Henry Ford, these stones are remnants of Detroit’s golden age as the car capital of the world. Back in the early – mid 20th century before car paint spraying became automated car parts were hand painted on racks. As the various car parts dried, excess enamel paint would drop off and fall on the equipment used to move the racks where it would harden. Overt ey eyaers as the process was repeated thousands of time the paint built up layers – in a process similar to how stalagmites are formed. 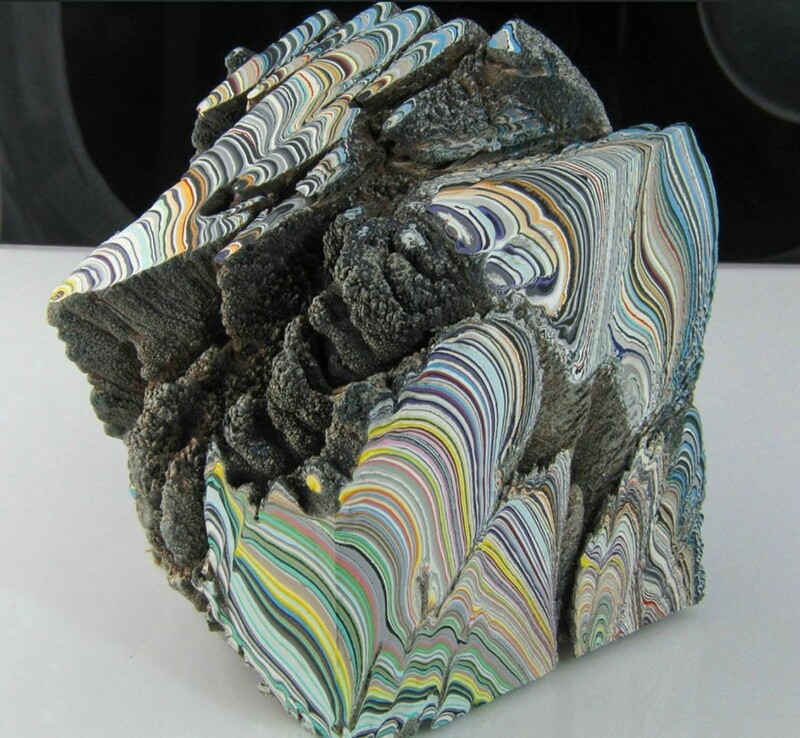 Workers used to chip off these paint deposits, grind them down polish them and make jewellery from them. They have now become prized and collectible stones. They may not be as old as gems but they are a beautiful reminder of our not so distant past.